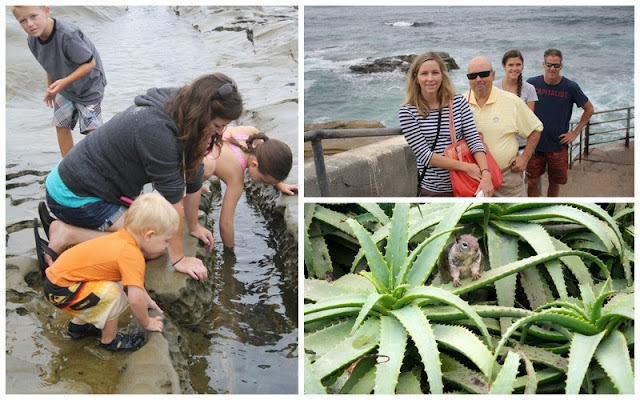 This was another new discovery for us--Just 8 miles from Mission Beach is the Children's Pool in La Jolla where you can see and swim with seals. 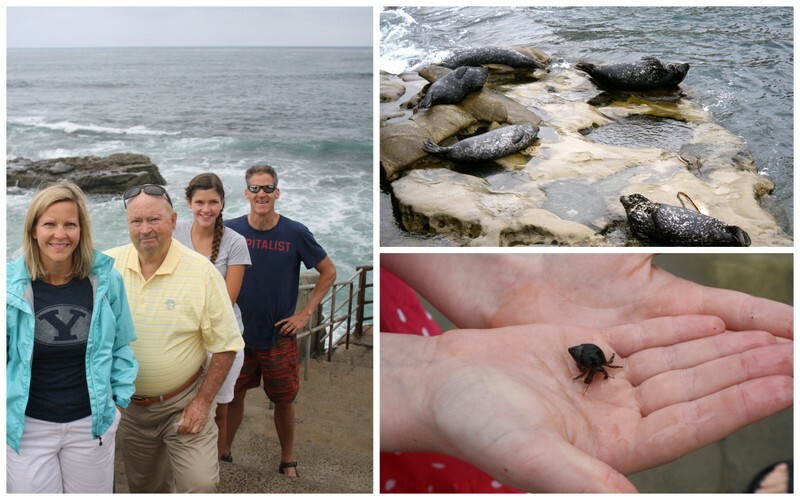 Personally, I think you have to be nuts to get in the water because it was COLD, but for those more brave than I, I am sure it's a real treat to swim with seals. 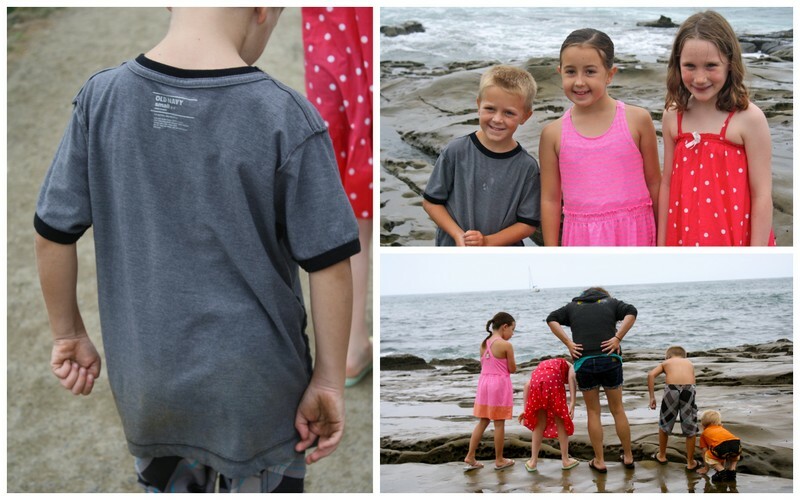 We stayed on dry land watching the animals from afar then made our way to the tide pools so the little kids could hunt for smaller sea creatures. My brother intentionally began wearing his t-shirts inside out when he was in high school-- He still does and this is his son who wants to be "like dad." How cute is that! When I saw it and realized it wasn't a mistake, I had to take a photograph. I didn't get a good photograph, but there is a small beach next to the seals where small children are allowed to swim and play...I guess it's safe?